BOSASO, Puntland - The Security forces in Bosaso, the commercial and port city of the semi-autonomous region of Somalia have detained a local journalist on Sunday, Nov 26, Garowe Online reports. A media colleague said Omar Mohamed Sa'ed, the journalist was arrested at the city's main airport while heading to Bosaso on assignment. Police did not immediately provide further details on the arrest. It remains ambiguous the motive behind the imprisonment of Omar Dheere. 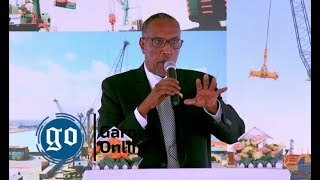 But his detention comes amid disagreement with Puntland government led by President Abdiweli Mohamed Ali "Gaas"
Some reports suggest that the governor of Bari region, Yusuf Mohamed Wacays (Dhedo) has issued the arrest warrant for the journalist who was not formally charged by Puntland law enforcement bodies. 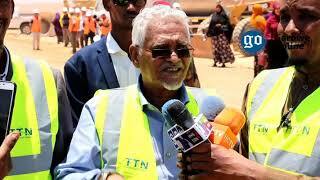 Puntland authorities did not comment on the case. However, the governor has distanced himself from the accusation. He told local media that the journalist has been apprehended following a court order. 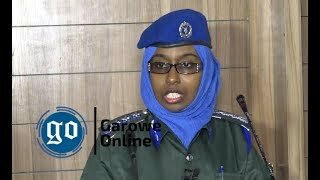 On August 6, police arrested Omar in Garowe, the administrative capital of Puntland over a post on his Facebook criticizing President the involvement of the publication of the false Somali notes in Puntland. 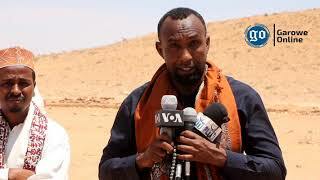 After 6 days in jail without charges, Puntland's Nugaal Region's first-grade court has freed the media worker on bail. This comes amid a surge in arbitrary arrests and abuses against journalists the region. During his Presidential campaign in 2014, President Ali promised to give more freedom to the media and allow the media their critic remarks of the government, but, journalists now say the leader fell short on his promises after his election. 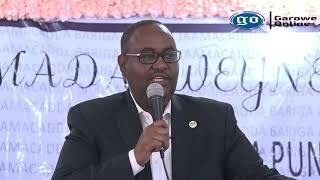 Gaas will be remembered for making life hard for the average person in Puntland.